Each baby is about the size of an eggplant. Total weight gain for the twin pregnancy so far will average between 23 to 34 pounds (10.4 to 15.4kg). 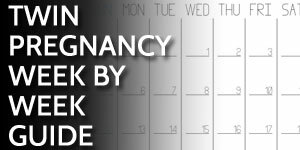 Your twins are still very early and ahead of the 24 week milestone that is the viability of life threshold. 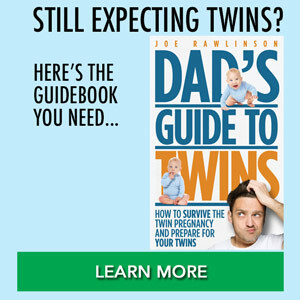 Most twins born at 23 weeks do not survive. Those that do have major medical complications. Hopefully your twin nursery is taking shape. When Mom is 23 weeks pregnant with twins, consider your changing table options for twins. You’ll be changing a lot of diapers so make sure this work space is practical. By the time Mom reaches 23 weeks pregnant with twins, she will likely be having leg cramps. You need to be her personal massage therapist and help her get as comfortable as possible.